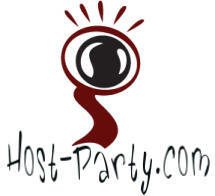 If you want to run an event yourself, we have several options to suit you. Many of the stories on this site can be purchased directly from us, either with or without adaptation to your guests, or we can produce something specifically for you. Because these stories are produced to order, they usually take a week or so to adapt, but this also ensures that all aspects of the story and characters are tailored to your specific circumstances. We remain on hand to discuss any details of the story and suggest ways to make it work best for you. If you would like to discuss these plots either use the contact page or call us on (01460) 241915. If you do not need a tailored mystery, we have teamed up with another company, Host Party, who provide ready-made scenarios for download. These stories are well written and come with a money-back guarantee. Whilst we do not produce these stories ourselves, we are happy to discuss details with you and help you find something suitable for your party or event. There are more details on these plots on the download murder mystery page of this site.